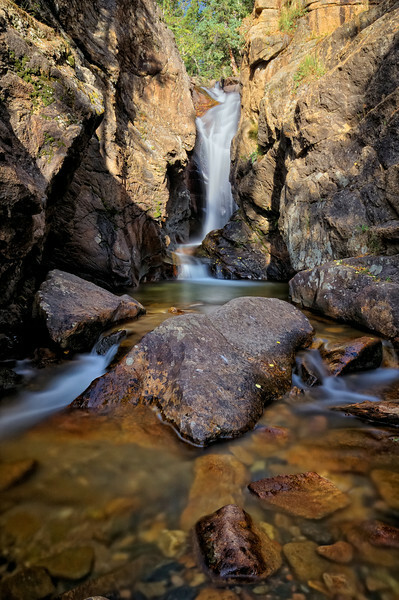 A view from yesterday of Chasm Falls bathed in sunlight at Rocky Mountain National Park, CO. We had a great time with David ( http://www.flickr.com/photos/davidkingham/3943360982/ ) (link goes to his version of this shot), thanks for coming with us! Shot Notes: ND filter used. Three manually blended exposures/DRI.